Are you a landlord considering whether or not to rent out a property? If the answer is “yes”, then you’ll need to be aware of the certain landlord tax allowances and deductions. You’re always welcome to stop by our office and have a chat with one of our experienced agents face to face, or you can give us a call and we’d be more than happy to help and advise you. But in case you’re incredibly busy and need some helpful information available at your fingertips, we’ve put some useful advice together for you. Many people fail to do the correct research before buying a property to rent. They rush into a purchase only to be left with a tonne of stress and headaches when they come to face their tax responsibilities. As you’re reading this, you’re already a step a head of most other landlords. Before you buy a property, you should factor in the cost of Stamp Duty Land Tax into your budget otherwise you could face an unwanted financial setback in the future. The amount of Stamp Duty is calculated as a percentage of the property’s value so this can often total thousands – or even tens of thousands – of pounds. As soon as you start renting out a property, you need to inform HM Revenue and Customs (HMRC) - otherwise you could face a serious penalty. You’ll have to declare your income acquired from your property and keep all records, invoices, receipts and statements for up to six years. 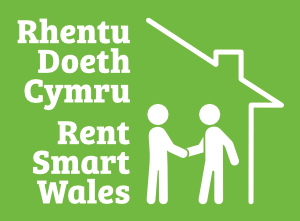 Rental tax works exactly the same as income tax, as the money you make from renting out a property counts as part of your income. But it’s crucial to remember that only profits you acquire from renting out a property are liable for income tax. You can work out your profits by simply deducting any ‘allowable expenses’ from your total rental income. Have you applied for tax exemption from HMRC? If so, then you must ensure that we receive a copy from HRMC in order for you to receive the full rent without any tax deductions. However, if you haven’t applied for tax exemption, then we will deduct tax at the current rate (20%) from the net income excluding non-allowable expenses. Allowable expenses are usually referred to in conjunction with ‘revenue expenses’. However, it’s crucial that you understand the difference between ‘revenue’ and ‘capital’ expenses as they are often confused or perceived as the same thing. Revenue expenses are costs associated with anything related to the necessary maintenance of the property such as repair, repainting or renewal costs. Capital expenses are costs incurred that contribute to an increase in the property’s value. For example, adding a conservatory, a new bedroom or any renovation that would improve a property’s value. If you need any more advice or information, then please do not hesitate to contact us.